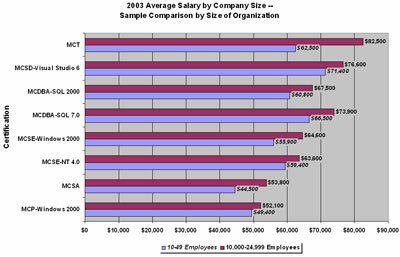 2003 Salary Survey Extra: What Size of Company Are You In? 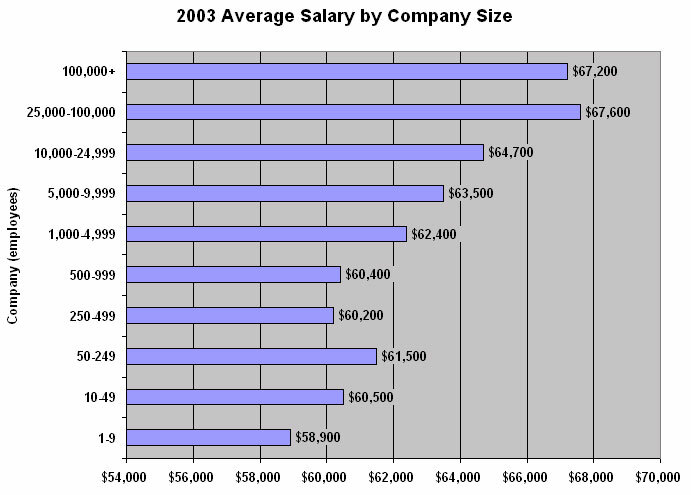 Seeking a higher salary? The company you keep can make a bit of difference. 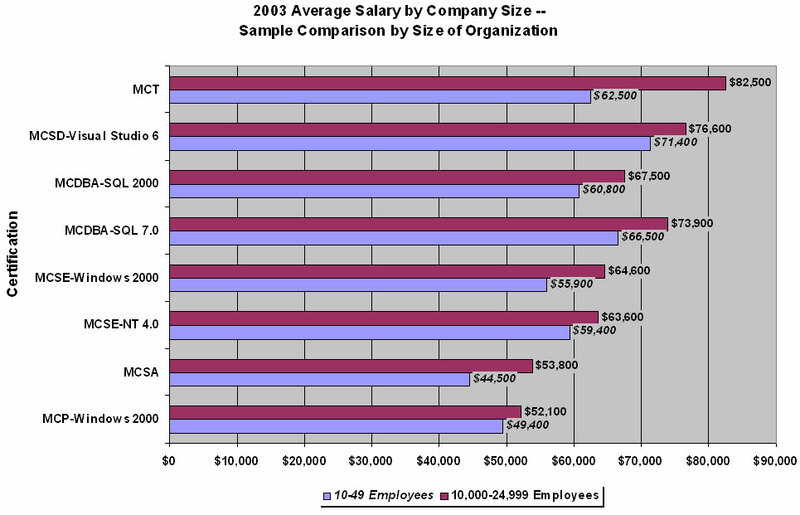 This year's Microsoft Certified Professional Magazine salary survey, available online at http://www.mcpmag.com/salarysurveys/, points to an interesting fact: The larger your company, the more you'll be compensated, in general. The largest percentage of employees reported that they work for either companies that have between 1,000 and 4,999 people (16.2%) or between 50 and 249 people (15.7%). The median size of company among all respondents is 1,529 people; the mean is 18,288. Whereas other IT publications have suggested that older and more experienced workers tend to be employed by larger organizations, our results are different. The average age for respondents across our entire survey is 36 years. That's also the average age of respondents who work for companies that have between 500 and 9,999 employees. The average age of people in companies with fewer than 500 employees is 35. The average age of people in companies with between 10,000 and 24,999 employees is 37. The average number of years of experience in networking and programming among all of our respondents is 7.8. That's pretty much the same across the board, no matter how large the organization. It varies from 7.9 years of experience at the smallest organization to 8.1 years at the largest. We offer two conclusions, which may be self-evident. If you're seeking a higher salary, no matter where you are in your level of experience, don't discount the value of working for a larger organization. However, if money isn't the most important consideration and you have no burning desire to specialize at that stage of your career, consider a smaller organization, since it'll likely prove to offer more varied work. 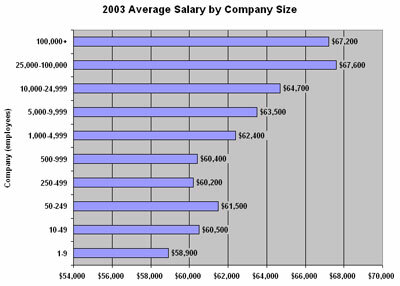 To read the 2003 Salary Survey, click here.